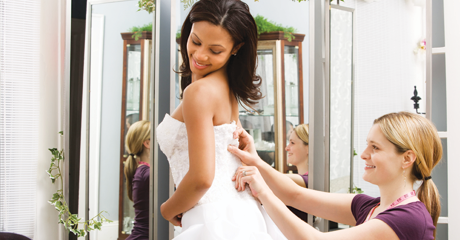 Take advantage of our alterations and repairs services to extend the life and wear of your formal attire. From dresses to suits, including men's formal wear, we can handle it all. 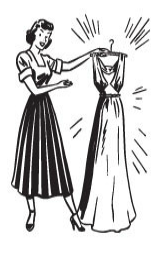 Shorten a flowing full-length evening gown and now you have a cocktail dress or even an appropriate piece of clothing to wear to a slightly more than casual function such as a bridal or baby shower, graduation, or even an office holiday celebration. 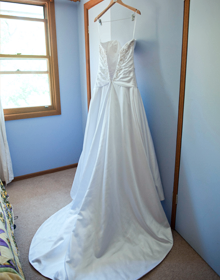 A beautiful tradition is to pass your wedding dress on as an heirloom, thereby preserving it for the rest of time. Pass it on to your daughter on her wedding day or simply store it for nostalgia. It will look like new many, many years later.